1 815,90 €	tax excl. 1 415,90 €	tax excl. 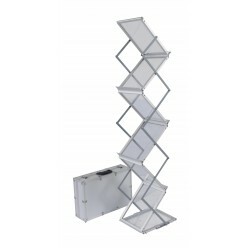 Stand : fabric counter & 2 roll-ups This kit consists of a counter and two roll-ups and can be set up very quickly thanks to its easy opening. 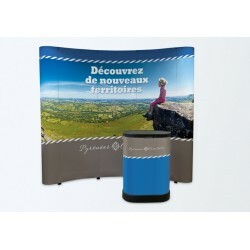 You'll get an immediate visual impact!Size of the counter: (L 95cm x H 88cm x P 42cm)Size of the roll-ups: (L 80cm x H 200cm) Delivered in its bag for a practical transport!Offered printing!Free delivery! 1 115,90 €	tax excl. Need help for your graphic design ? You do not have image editing software ? 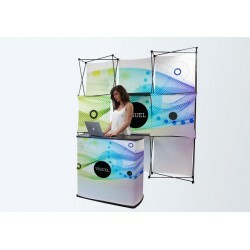 Our partner agency will offer attractive rates for your viewing booth! 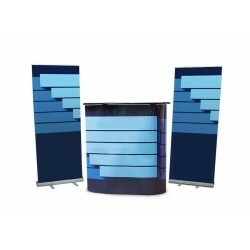 Stand-Expo is a stand designer specializing in the stands umbrellas and customized advertising equipment for exhibitions, trade fairs and / or advertising of sale. 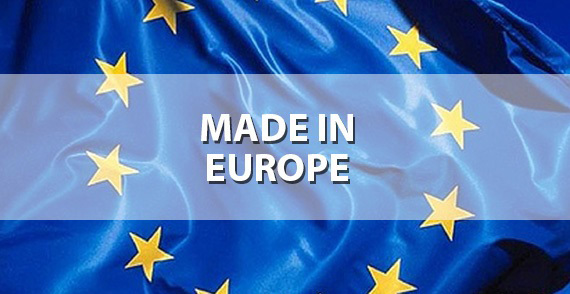 Stand-Expo, is the creation and customization of stands made in Europe (manufacture 100% Italian). Advertising revenue available to you are designed to meet the challenges of professionals: easy transport, assembly and express very good price / quality ratio. 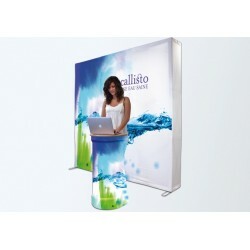 Advertising stands also have the advantage to customize at no extra cost. 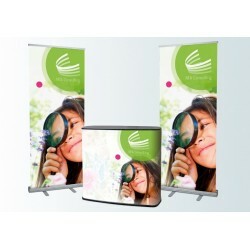 Indeed, all of printing customized products is offered. For this, the team proposes to transmit your graphic files or perform them for you from 99 € here. 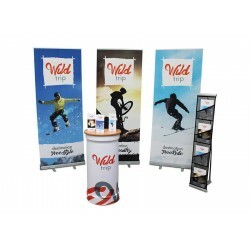 Stand-Expo also offers stands ready to use kits, but also a multitude of specific products such as advertising totem, advertising or sailing showcase counter. The team also offers many flash sales and one-off reductions. For all requests for bulk purchase of one or more custom promotional products, contact the team by email or telephone (Monday to Friday from 9am to 12.30pm and from 14h to 18h at the cost of a call local). A custom quote will be transmitted.